Tamworth Locksmiths that have approved Master Locksmith Association Company recognition. When you want to protect your home or business then Pick Me Locksmith in Tamworth is the safe choice. 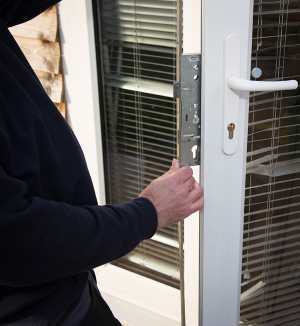 When you are locked out or need new replacement locks, we are your emergency Tamworth Locksmiths with no call out fee. Pick Me Locksmith are Your Spare Key! Searching for “Locksmith Tamworth”? We are DBS checked, vetted and inspected by the Master Locksmiths Association and are an ERA approved partner. The people of Tamworth can be reassured that Pick Me Locksmith Ltd take home security very seriously. Replacement, repair, and emergency locksmith service for Tamworth. All emergencies are responded to with urgency and professionalism. Expert Access Control Systems, Alarm & CCTV Installers. 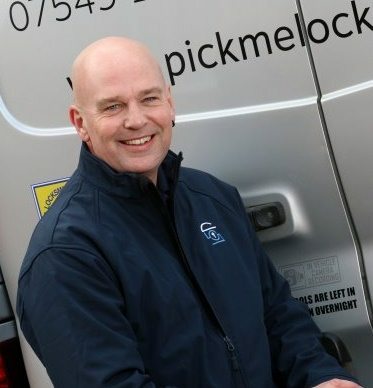 Steve at Pick Me Locksmith Ltd lives in Tamworth & can answer calls quickly and professionally. If you’re in Tamworth and you need a locksmith, Pick Me Locksmith Ltd is your key to security! Your emergency Tamworth locksmith. Emergencies are responded to with urgency and professionalism. We can open standard mortice and cylinder locks, modern UPVC window and broken door locks or garage doors often without drilling or damage. Broken or stiff UPVC door lock? Locks can become difficult to use or even fail completely over time. Avoid expense later… get your door adjusted when you notice any difficulty in using it. You then have the best chance to avoid a bigger problem and a larger bill later. If you have moved home it is recommended you get a trusted Tamworth locksmith to fit Insurance grade high security new locks. We can also upgrade existing or broken locks cost effectively. Helping you sleep safely at night! We install quality security alarm systems for homes & business in Tamworth. Deciding to protect your property is the first step. Choosing the right Tamworth locksmith is the next. Pick Me Locksmith are an MLA Approved Company. From a single camera to a network of cameras around your home or business, with remote viewing over the Internet, we can provide the solution. CCTV system installers that fit your needs and your budget for homes & business throughout Tamworth. The natural progression from mechanical locks is to replace the physical key with an electronic entry system in homes and business. With options to suit you such as a code, a card, a fob or can even be your own personal biometric information. WORRIED ABOUT YOUR HOME SECURITY? Most people associate locksmiths with being locked out and at Pick Me Locksmiths in Tamworth we pride ourselves in being able to provide a fast, responsive, service to all door and window lock related issues. 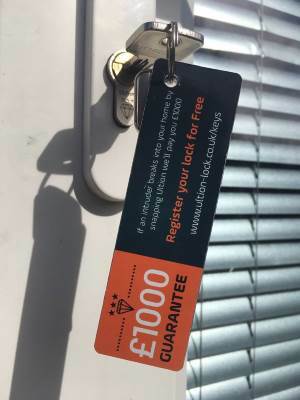 Our Tamworth locksmith will always check and adjust doors as part of a lock replacement or repair, this helps prevent the same problem reoccurring and ensures we deliver a high standard of service to our customers. We can also provide advice on other security solutions too. Steve, your Tamworth locksmith, has a comprehensive level of technical knowledge in locks and locking mechanisms. When you call, you can expect a no nonsense response to solving your problem. Every call for an emergency locksmith near me in Tamworth is dealt with the utmost urgency because if you are locked out you will need to be back in quickly so you can get on with your day. Don’t forget that your first port of call if you are suspicious of any danger is to call Tamworth Police Station before calling your locksmith. You can also find out about crime on the Tamworth Police crime stats map. When you call Pick Me Locksmith Ltd you can expect a customer focused solution tailored to suit your needs. Pick Me Locksmith Ltd is a genuine local locksmith service. We do not use call centres. As a member of the Which Trusted Trader scheme we follow a strict work ethic. Call Pick Me Locksmith Ltd for an honest and reasonably priced locksmith Tamworth and surrounding areas. We understand that our customers call us to deal with delicate situations and we approach our task with this in mind. You can expect us to arrive swiftly and quietly and get the job done. Customers will be fully briefed on what we are doing and why, with no hard sell. You can be confident of our high standards of workmanship and integrity. Being a small business, our reputation as the trusted Locksmiths in Tamworth is vital to Pick Me Locksmith Ltd. Our locksmith’s experience has taught them the importance of home security, so we only supply high quality locks and UPVC locking mechanisms. We had to improve the security of our external locks to comply with BS3621 to satisfy our Household Insurance. We contacted Steve at Pick Me Locksmith and explained our situation and he responded quickly by visiting us to examine the three external door locks and provided a quotation for their replacement to meet the security standard. He obtained the three locks and had extra keys cut for us. He came and fitted them within two days. Steve provides a very efficient and friendly service and we thoroughly recommend him. I have dealt with Steve at Pick Me Locksmith now several times and each time his integrity and quality of work is an example that others need to follow. If you need a locksmith with integrity that gets the job done professionally at the right price then I can totally recommend Steve. We'd been having trouble with our front door lock for some time and like everything else we kept putting it off finding someone reliable to come & have a look for us. As luck would have it I met Steve at a networking meeting & he offered to come round and give me some free advice. At least that way we knew what we were in for and didn't have to worry about a call out charge. He arrived at the arranged time & worked diligently until we were both happy with the adjustments that he had made. It has made a huge difference & I don't have to worry every time I go out that I can get back in my house! Highly recommend & they are definitely going on speed dial. Steve has been my locksmith for a few years now. He is trustworthy, honest, reasonably priced and very caring. He wants to make sure you’re alright and get you sorted. My first experience of Steve’s work was at my rental property where l was having difficulty with a smart lock. It was the 3rd one l had had so l decided to go back to a key system. Steve was the 3rd Locksmith that had been sent to sort this out. I was getting very frustrated. Steve secured the property promptly and fixed the issue. I had 9 tenants at that time in that property that all required keys. He made sure that all of them had keys that day. Shortly afterwards one of my tenants was locked out and l called on Steve to assist. He came out and sorted the issue quickly and reasonably. Most recently l was burgled at home. He came over straight away, made sure we were all ok, checked all the windows and doors and changed all the locks immediately to help us feel safe. He was so kind and thorough. He went above and beyond. In summary - Steve is knowledgeable, professional and doesn’t shy away from hard work. Underneath it all he is a genuine good guy and l can’t recommend him enough. Quick, efficient and friendly. I met Steve at a breakfast business networking, and was alerted by his words "don't leave your door locks until you're locked out, sort any problems when they arise it will be easier and cheaper to fix" Both our back and front door had started to develop issues, so I heeded his warning and gave him a call. He came the very next day, at the time we agreed for a free assessment. After Steve explained the problems, answered all my questions, and quoted a very fair price, I asked him to do the repairs. Steve had everything to hand on his van and did the repairs straight away. He was willing to chat and give general lock advice and was very friendly. My doors are now secure and working as they should, and I have some pointers for some simple DIY to prevent further issues. Would thoroughly recommend. If your locks are not up to scratch, get them checked by the guys at pick me. We can open standard mortice and cylinder locks, modern UPVC window and door locks or garage doors often without drilling or damage. If you lock yourself out of your home or business or need help following a break in then you need Pick Me Locksmith Ltd’s emergency call out service. Whilst UPVC doors are robust and durable, they can become difficult to use or even fail completely over time. You will be relieved to hear that this doesn’t have to mean you need a new door! Small adjustments can be made, and mechanisms or hinges can be replaced, often returning your door to its former glory at a fraction of the cost of replacing it. Avoid expense later and door adjusted as soon as you notice any difficulty in using it. You will then have the best chance to avoid a bigger problem and a larger bill later. At Pick Me Locksmith Tamworth, we say there are three main reasons you should replace your lock. Firstly, if you have recently moved home or a change in circumstances will mean you don’t know who has a key to your home or business. Secondly, and the most obvious, is when a lock doesn’t work. The final reason is when a lock is not up to the standard you require. All of our locksmith’s carry a good range of quality locks, mechanisms and handles to enable us to provide the right solution fast. We provide quality locks and where needed we fit British Standard locks and handles. An alarm system fitted professionally to your home or business can be a highly effective deterrent. 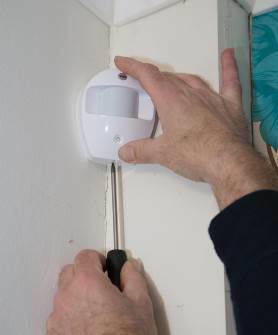 A large number of burglars say they would be discouraged from breaking into your home if they knew the owners had an alarm installed according to recent statistics. A fitted alarm gives you peace of mind when you are at work, on holiday or your family is asleep in bed. A great way to protect your possessions and your home. you might even save money on home insurance! 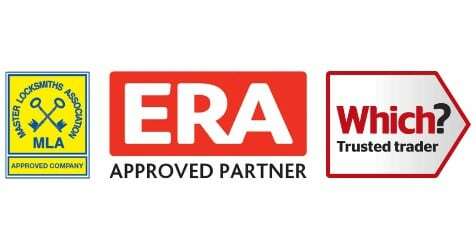 As an ERA Approved partner we supply and fit ERA alarm systems. Whether you need an alarm fitted in your Derby home or business premises we are happy to give you a quote and improve your security. 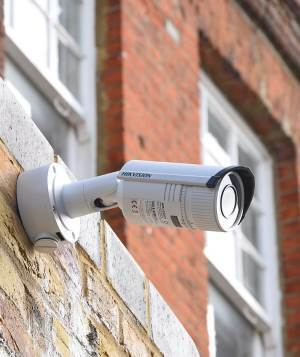 From a single camera to a network of cameras around your home or business in Derby, with remote viewing over the internet, we can provide the solution. By using specialist equipment and software we can provide a system perfectly tailored to fit your needs and your budget. We install CCTV to homes and business throughout the wider Derby area. Our customers in Derby that have had CCTV installed tell us how much peace of mind they get from the added security and visibility. Give us a call today to arrange visit for a no obligation, friendly quote. The natural progression from mechanical locks is to replace the physical key with an electronic entry system. With options to suit flats, homes & business premises in Derby such as a code, a card, a fob or can even be your own personal biometric information. 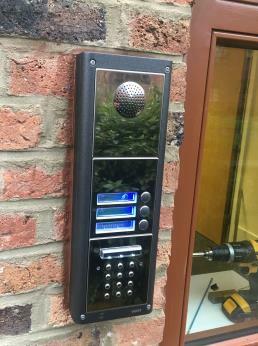 Electronic access control systems have an enormous advantage over mechanical systems where each code, fob or biometric signature is unique and can be tailored to suit the needs of any home or business in Derby. We can supply and fit to your specifications and also provide an emergency entry & repair srevice.